Are you happy with your health? Do you enjoy a proper rest in a day? Do you feel always active? If all the questions have one answer – no, you must be aware of your lifestyle and health issues. Staying healthy and disease-free does not cost you much. It just needs your attention. 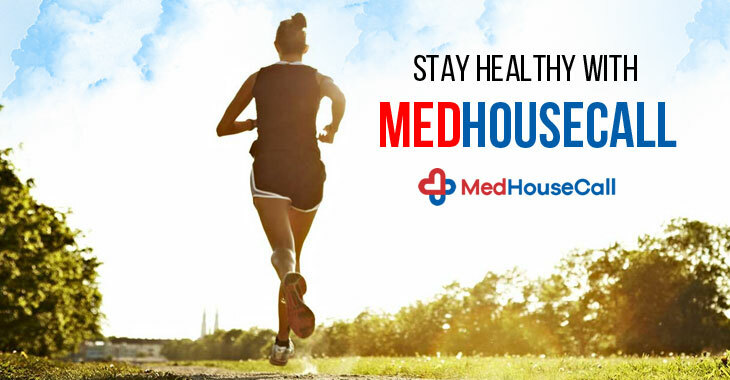 MedHouseCall brings to you some of the best options that offer you a happy life. As you grow old, the chances of failing sick also get higher. We share some tips that are easy to maintain in your busy life. We are offering in-home health care service in Ontario, Canada and want everyone to enjoy a happy life. We are always trying to genuinely help people to access health services conveniently. When the queue before the doctor’s office goes longer, we come up with a facility that allows people to get treated at their home. No matter how odd time it is, contact MedHouseCall and we promise to serve you the best. Our experienced doctors’ team has specialized doctors in different fields. You will be treated by one who meets your requirement. Regular exercises protect you from many health problems. When you do a regular exercise, it lowers the risk of type 2 diabetes, heart diseases, stroke, and more. It also improves the blood circulation and relieves your stress level also. You will suffer less from injuries. So, regular exercising offers you a good sign of improvements. It saves your money and improves your energy level. Love foods from restaurants? You may end up your love at the hospital beds when you are diagnosed with some ailments. Restaurants foods contain excessive oils and butter, which are not a good option for your health. It also costs you high for a meal. Do not forget the importance of homemade foods. They are tastier and have been made from fresh ingredients. If you want to leave an active life, you must cut off outside foods. Nothing can replace the goodness of water. It is true. Always stay hydrated no matter whether you are sitting in your home or in your office. As people said that you need to drink 8 glasses of water a day. It improves your metabolism which helps you in losing weight. Instead of enjoying cocktails that give you short-term fun, embrace the long-time benefits with water. MedHouseCall prioritize your health. We are mentioning the basic ones which are commonly ignored by people. Let’s start a healthy year by taking care of your health. For any kind of medical advice, you can call us. Our home visit physicians will make you feel relaxed during a treatment procedure. Stay at your home and leave the burden of traveling on us. Previous Previous post: Hand Sanitizers Or Soap with Water – Which is best?